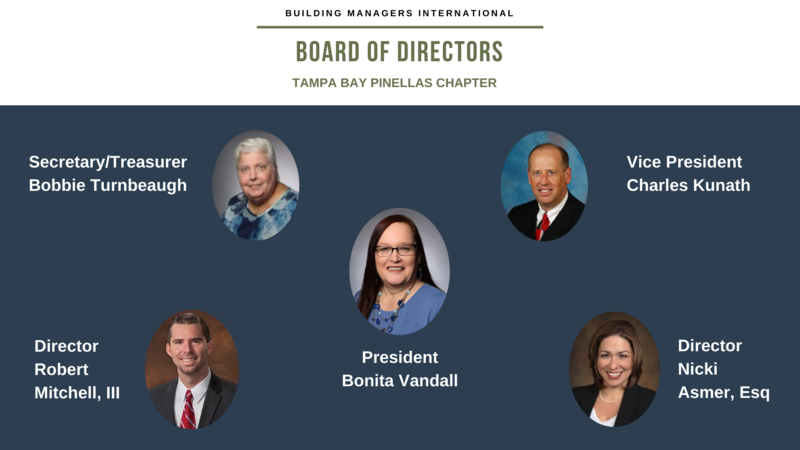 Building Managers International is an organization of Community Association Managers dedicated to improving the education and professionalism of licensed Community Association Managers in the State of Florida. BMI is the only statewide organization created and operated by and for the benefit of Florida Managers. Our National Board of Directors and the Boards of each local chapter are made up of Managers and Associates working together. Founded in 1965 in Ft. Lauderdale, Florida, BMI rapidly grew to be recognized as an invaluable source of education, information and professional association by condominium, cooperative and homeowner associations throughout the State. BMI through their lobbyist, Legislative leaders and financial support brought about CAM licensing. BMI plays a pivotal role in CAM education for the renewal of licenses. The Members of BMI come from all different areas in the State and from many different walks in life. We represent high-rise, mid-rise and low-rise buildings. We manage beachfront, lakefront, riverfront and inland communities. We have between one and sixty employees. We work for investment properties and owner occupied associations. We’ve been in this business from six months to thirty years. Some of us are independent managers, some are a part of a management team and some work for management companies. Some manage a single association, some a multitude of properties. In spite of this varied background, we have discovered that our membership does demonstrate certain qualities common to each and every member. Most importantly our commitment has always been education, networking and integrity. When a member is qualified he or she may earn an accreditation as a “Certified Building Administrator” or C.B.A.®. The C.B.A.® test can be taken for a fee of $50 after you have been a member of BMI for one year. The C.B.A.® test consist of Florida Statutes and general information regarding management. This designation adds considerably to the prestige of management and is recognized by the State of Florida. Associate members are not allowed to pass out any promotional material, including business cards, unless they are sponsoring that specific event or have been approached by the manager to obtain their information.